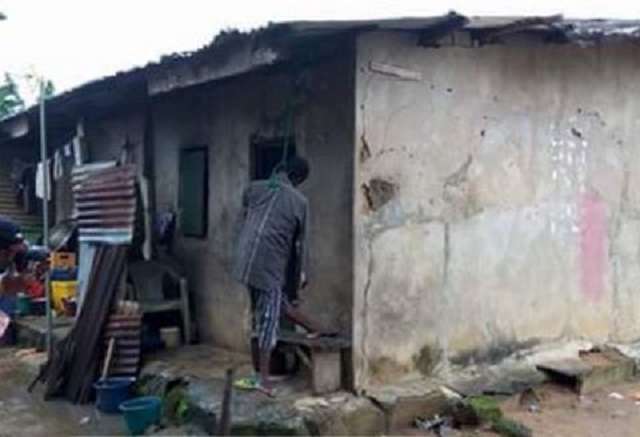 Unable to bear the current economic crunch the country is passing through, a 50-year-old father of two, Chief Ekanem Edet, decided to take his own life by hanging, blaming his actions on the harsh condition in the country in a suicide note he left. Chief Edet, popularly called Jolly Boy, a former Secretary of the Mbiabong Village Council, Mbiabong Itam in Itu Local Government Area of Akwa Ibom State, was found by a friend dangling from a rope tied to the roof of his house, an action that has sent the community into shock and disbelief. It was gathered that the deceased waited until his wife and two sons went out before taking his life, leaving the suicide note behind. A family source who spoke on the calamity that has befallen them, said that Chief Edet blamed the Federal Government for inflicting unbearable pains and hardship on Nigerians in the note, and as such, had to take his life. A close friend of the late Chief, Ette Okon Effiong, narrated that Edet had been complaining bitterly about the situation in the country prior to his committing suicide. “He was a very sociable man and always shared his thoughts on issues. I do not know why he should consider suicide as the last option to escape from these hard times. Edet took his life blaming his action on the prevailing hardship. He used to deal on Ogogoro (local gin), cigarettes and other stimulants, but he could not continue with the business because of the economic meltdown." “He used to complain that his petty business was no longer fetching him and his family basic needs such as food, clothing, and fees for the children’s education.